The Stark Online: Where is Bonnie "Prince" Billy?? Where is Bonnie "Prince" Billy?? What is up at the Drag City label? 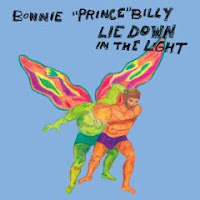 Not only have I heard almost NOTHING about the new Bonnie "Prince" Billy record Lie Down in the Light; I couldn't even find it this morning at the Virgin Megastore in Union Square. Although a dreaded chain, Virgin usually has almost everything. I mean, they had Ezra Furman and the Roadside Graves. After his highly touted, excellent, and widely marketed record Love Comes to Me, this new album has been virtually invisible. As a big "BPB" fan I've been listening to samples online and it sounds great. But you know something is wrong with the system when a fan who wants to buy a physical record can't find it. Shame on you, Drag City sales department. Also, I checked on Amazon just to make sure it wasn't a digital only release. Buy it HERE from Insound. seen this around... don't know why they wouldn't have it.